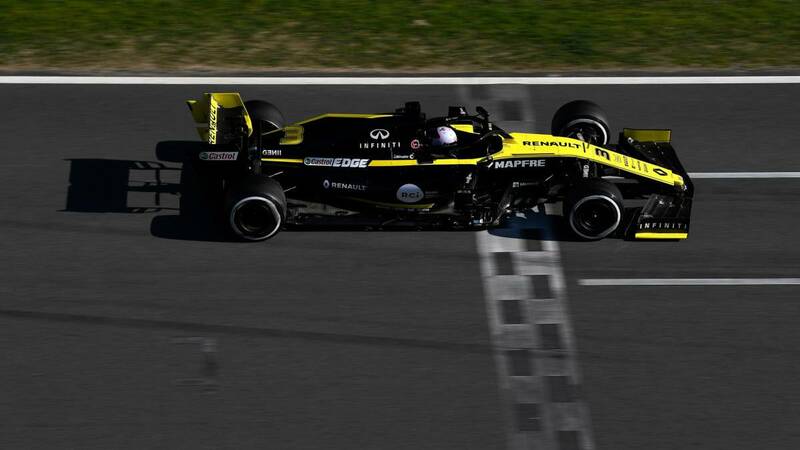 Home F1 Ricciardo: "Renault must accelerate the development of the car"
The Australian admits that the difference with Mercedes, Ferrari and Red Bull is too significant and that it will not close overnight. Leading the 'F1b'. This is Renault's goal for the 2019 Formula 1 World Championship, a purpose that at first glance may be unambitious, but which is a substantial piece in the Enstone team's road map to reduce the disadvantage with respect to Mercedes, Ferrari and Red Bull. Questioned by the sensations he has experienced at the wheel of the RS19 during the preseason, Daniel Ricciardo demands his new team to develop the most intense car to start fighting for the podium positions : "Our main goal this year is to finish fourth in the team championship or even more." The gap with the first three is significant and will not close overnight. For that, it is necessary to develop the car more intensively " . A request that is one of the big pending tasks of Renault. The pilot of Perth says in 'L'Equipe' that Nico Hulkenberg has confirmed that last year the development of the RS18 was lower than initially expected: "Talking to Nico Hulkenberg and understanding little by little how the equipment works, I know Last year's development pace was lower than expected, we need to find out what needs to be done to improve the car, but also to make sure that all the necessary updates are implemented as quickly as possible, this will be the key factor our capacity to close the gap ".